In order to increase the value of equipment using, the expert nutritionist team invented various recipes. Sharp founded the nutrition center for more than 25 years to develop many delicious and nutritional recipes for our consumers. SHARP Nutrition Center had joined the 11th Year Anniversary “ Dealer NUM CHAI “ in Central Pattaya in April 2014. SHARP Nutrition Center has joined the exhibition HomePro Expo 2014 at IMPACT Muang Thong Thani held in March 2014. The exhibition featured the innovation of electrical appliances. SHARP Nutrition Center had joined the Grand Opening Event of Seang Tokyo in Chumphon in February 2014. SHARP Nutrition Center has joined the exhibition Power Buy Expo 2014 at BITEC Bangna held in February 2014. The exhibition featured the innovation of electrical appliances. SHARP Nutrition Center had joined the exhibition Amway Expo 2014 at the Challenger IMPACT Muang Thong Thani held during 15-16 February 2014. The exhibition showed all products of Amway’s partners. SHARP Nutrition Center has joined the exhibition Power Buy Expo 2014 at BITEC Bangna held in May 2014. 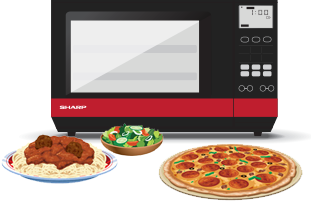 Nutrition Center of Sharp Thai Co., Ltd. had started training course of SHARP microwave for Home Economics, Food and Nutrition students and teachers , in nationwide. 5 Years Anniversary “ Dealer The Best Buy"
Home Show 2014 with dealer " S.Sang Group"
The nutrition center has regularly held the cooking classes of the Super Heated Steam Oven “ SHARP Healsio “ for end-users who purchased them. 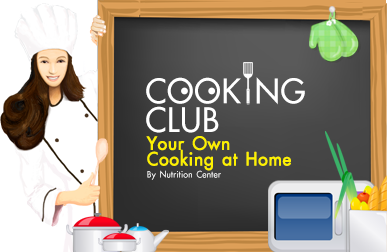 The latest Healsio Cooking Class was held in June 2013 at Bangkok Center Hotel.